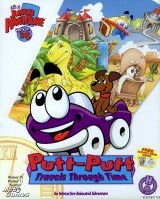 A full overview of all adventure games released in the Putt-Putt Series. These can be episodes, remakes/remasters or sequels, created by either one or several companies. As long as the IP is used, we'd quantify this as part of a 'series'. 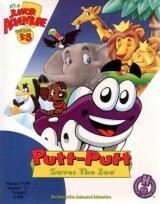 Join Putt-Putt and Pep as they help Outback Al get ready to open the Cartown Zoo. The bridge is out, zoo chow’s running low, and six different baby animals are missing! Grab your car wax and get ready to buff yor bumpers—it’s time for the annual Cartown Pet Parade! 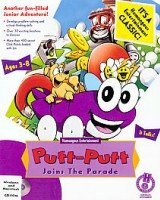 Help Putt-Putt tackle the local car wash, explore a toy store, rescue a lost puppy and much more before heading to his front row spot in the parade. Mr. B.J. 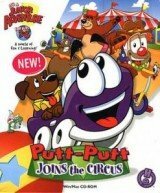 Sweeney needs you and Putt-Putt to help his five main acts get ready for the show. What if you landed in a strange place and had to get home? 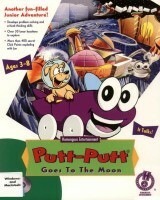 That’s the challenge for Putt-Putt and his friend Rover, a lonely little lunar terrain vehicle left behind by the astronauts. To get home, they have to build a rocket, but first they must find all the parts. Today’s the big day as our curious little convertible prepares for the Cartown 500. 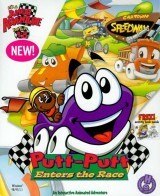 Redline Rick is eager to start the race but Putt-Putt and Pep need a few items before they are ready to roll.